The Camino de Santiago or Way of St James is probably the most well known hiking route in Spain. It is also a UNESCO World Heritage Site too. Stretching 483 miles or 778 kms, the main route begins at Roncesvalles and ends in Santiago de Compostela. There are many ways to do the Way of St James. 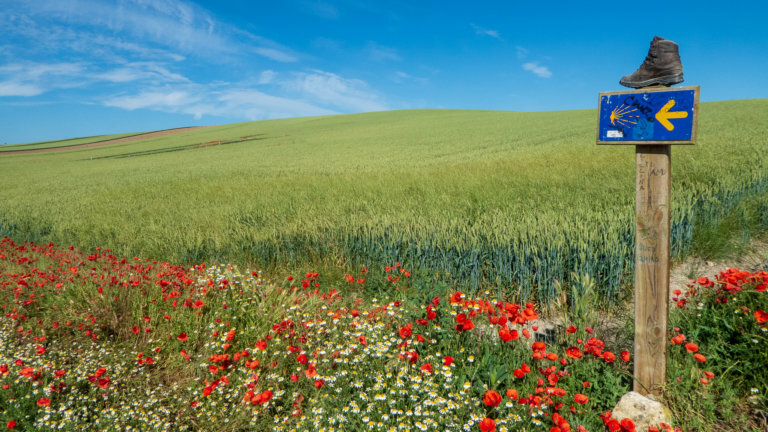 The Camino de Santiago can be done walking, by bike or even on horseback.Although the most popular route is the Camino Francés from Roncesvalles to Santiago. There are other routes that can be taken. Some people enjoy doing this pilgrimage so much they go back to do different routes over several years. https://santiagoways.com/en are specialists in preparing these routes. The oldest route was first walked in the 9th century is called the Camino Primitivo and it starts in Oviedo. The portuguese route begins in Lisbon spanning just under 700 kms. There is also another portuguese starting point in Oporto. This shorter route at 227 kms is also popular. The Camino del Norte is less popular as there are fewer historic monuments on this route and its not flat like the others. Starting in Irun it is cooler in Summer months. On certain years, when the 25th July falls on a Sunday. It is a Holy Compostelan year or Xacobeo. These years are more popular with visitors. So if you plan to walk the Camino de Santiago bear this in mind. This account from Sheree from Winging the World shares her experience of the Xacobeo festival in 2010. Last summer I walked the French Way of the Camino de Santiago through Northern Spain. Luckily for me, I arrived in Santiago de Compostela just in time for the St. James festival. It was a great experience and one that really topped off my Camino experience. This is my Camino top tip that I would like to recommend to your readers. Please see below for my contribution to the collab post. I have attached a photograph here too. 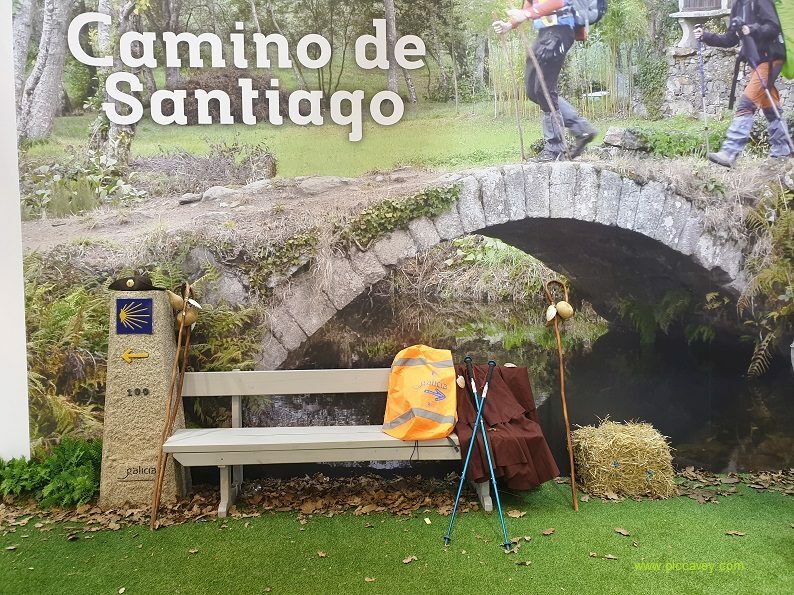 If you can time it right, the best thing that you can do to top off your Camino experience is to arrive in Santiago de Compostela in time for the St. James Festival. This annual event celebrating the Santiago Apostle transforms the streets of Compostela into a medley of music, theatre, art and dance. 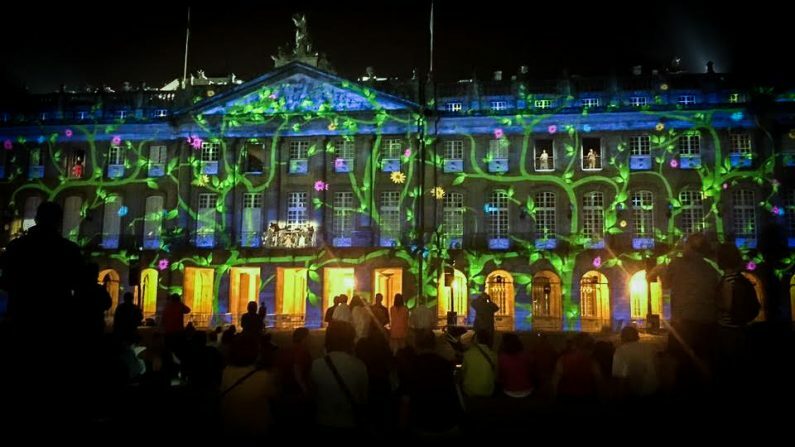 Each night of the festival, concerts are held in Compostela’s different squares featuring acts from around the world. All of these are free to enjoy. The most important day of this festival is St. James’ day which always falls on the 25th of July. On a year where this date falls on a Sunday, the year is considered ‘holy’ or ‘xacobeo’. 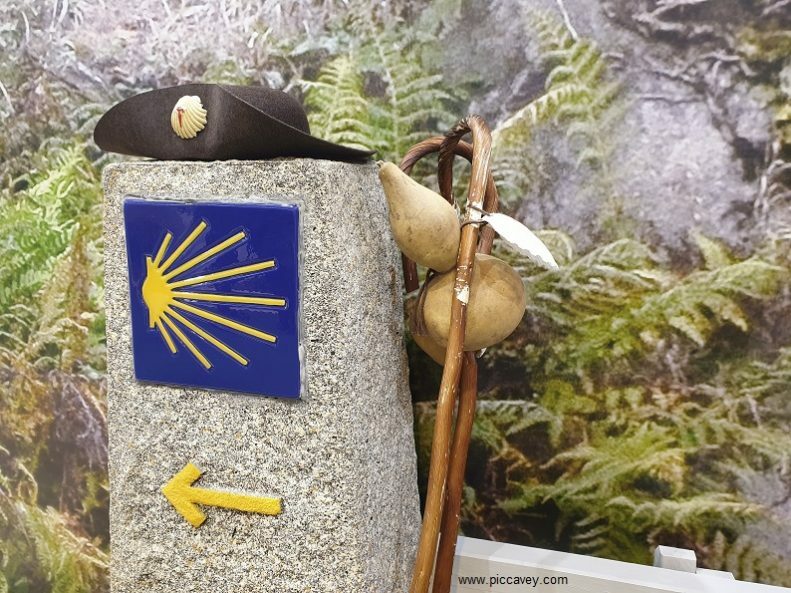 Holy years tend to see an increase in Camino pilgrimage numbers. There is a huge firework display on the eve of St. James’ Day which can be enjoyed in Praza do Obradoiro. At the end of my Camino, I arranged to meet numerous friends from along. The Way to celebrate St James’ Day. It was truly a beautiful setting in which to reunite with the people I had shared such a profound experience with. St. James’ Day is also one of the pre-scheduled events when the ‘botafumeiro’ is lit inside Santiago Cathedral. A member of the Spanish royal family usually attends and queues are long, so make sure to get there early – you won’t regret it! 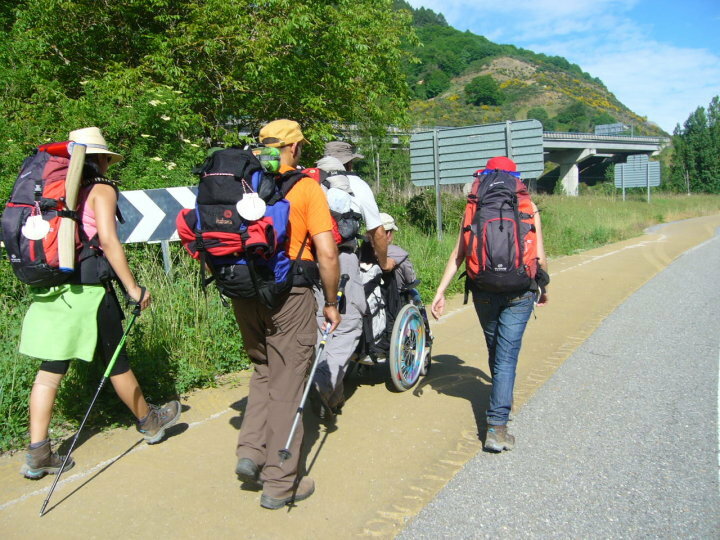 Marie Harcubova shares her experience on the Camino Francés by wheelchair. A fabulous account of the humanity of the other peregrinos along the way, helping when unlevel parts of camino require assistance. And persistance when the Galician weather hit with several rainy days on end. 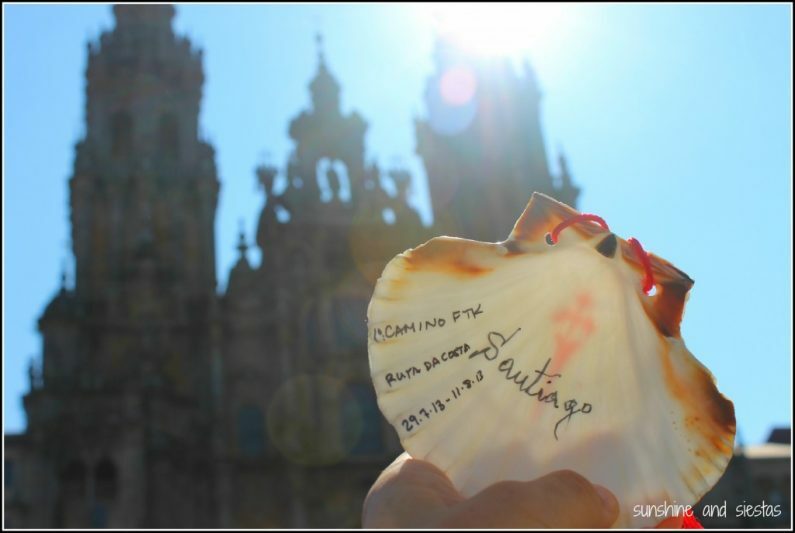 Cat from Sunshine & Siestas blog shares her insight into walking the Camino Norte. I walked 326km on the Norte, from Avilés to Santiago, in 14 days. They say the Camino always provides, and the Camino, indeed, never failed us. In walking over 300 kilometers along Spain’s Northern coast on the Northern Route (Camino del Norte). A caminante finds he or she is never without – there will be someone to fill your water bottle from a rusty garden hose on a hot afternoon, or to show you how to properly treat your blisters. There will be wine passed among new friends, and there will always be a friendly dog when you’re homesick. After 14 days of doing little more than tugging on my boots and putting one foot in front of the other, I realized that the Camino provided in other, more spiritual ways. 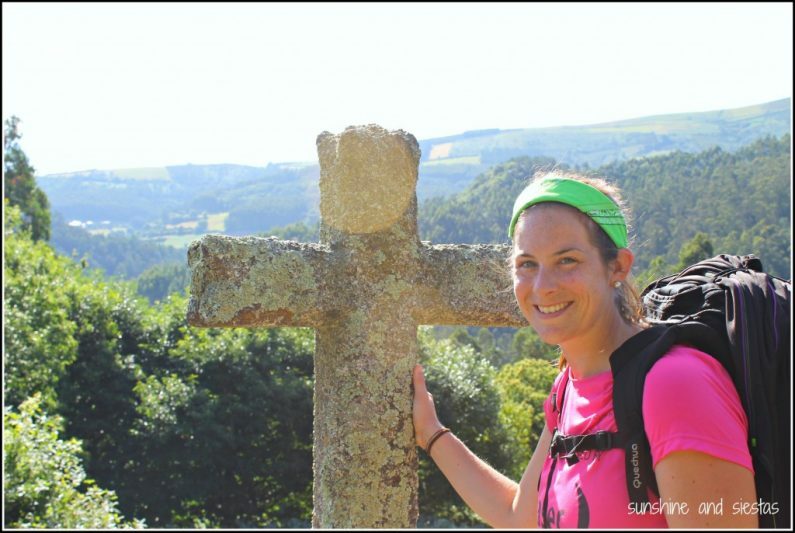 The Camino gave me a clearer sense of my mental grit, my body image and my positivity. Airports: Getting to Roncesvalles – Closest airports are Biarritz in France or Pamplona in Spain. Accomodation in Santiago de Compostela – See Map Below. 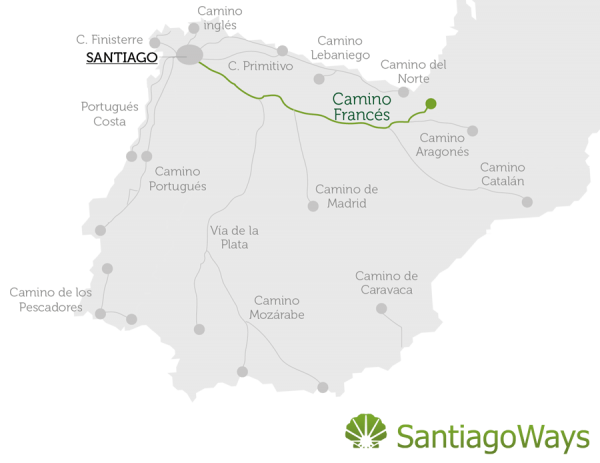 This post has been sponsored by Santiago Ways – Walking Specialists in Spain & Portugal.